Kayode Fayemi, Minister of Mines and Steel Development, has charged Nigerian youths and beneficiaries of the N-Power programme of the Federal Government to re-elect President Muhammadu Buhari in the 2019 general elections. 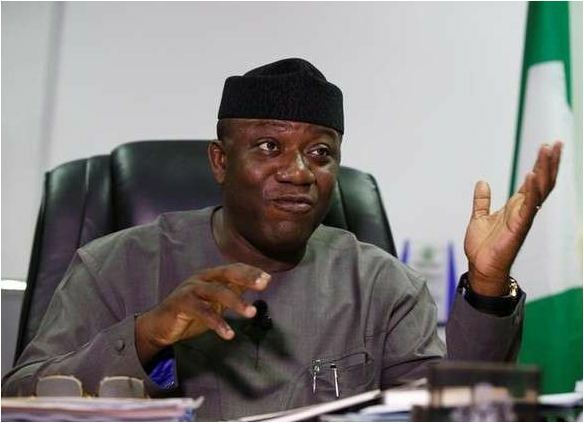 Fayemi speaking in Ado-Ekiti, the Ekiti State capital, during first anniversary of the scheme in the state, said youth empowerment was a priority to the All Progressives Congress, APC, government. A total number of 3,600 beneficiaries in Ekiti joined the N-Power scheme in 2016, while 8,000 were admitted into the scheme in 2017. According to him, the scheme would continue as long as the APC remained in power. “Because of what our President has done, I want every youth in Nigeria to support this APC government in 2019. In 2019 general election, we want all youths in Nigeria to support APC and all youths in Ekiti to support APC in the 2018 governorship election. “The scheme would continue as long as the APC remains in power. “Youths who are yet to get their Permanent Voter Cards (PVCs) should do so and vote APC in come 2019 elections so as to keep enjoying similar schemes. “The vision and mission of Mr. President is to assure you of a better future, you must support the President to sustain the scheme.The President is in love with the young people and that is why he will continue to empower you. Make sure you collect your PVCs. Some of the beneficiaries urged the Federal Government to transform the scheme to permanent jobs for them.